What does a Walk Mean to Your Dog? Staring out the window while waiting for you to come home can bore your pet out of his wits. After being cooped up at home the entire day, your dog will want to release some of that pent-up energy. Whether it’s an hour walk or 10 minutes, your pet will appreciate the chance to go outside. Pet Nanny offers scheduled dog-walking services where we can customize your dog’s walks to suit your personal preference. Give your dog the physical and mental stimulation he needs after a day of lounging around the house! Another plus is he’ll be too tired to steal your socks or gnaw on your shoes at home. Walking is a great way to decrease hyperactivity in dogs and prevent the destruction of household items. Inactivity in dogs may lead to obesity. If your pet leads a sedentary lifestyle, your dog may gain too much weight and that’s when trouble happens. Avoid these problems by making sure your dog is dynamic and active. If you don’t have time to do a full-on game of catch with your pet, a walk is a great alternative. Walking is also a great way to stretch and loosen up their muscles to avoid joint problems in the future. Make it a habit to bring your dog out and sweat off some unwanted pounds. This goes for you as well! A healthy stroll helps in managing heart diseases in humans and strengthening bones and muscles. Being home alone limits your dog’s interaction with other dogs and humans. This lack of exposure may stunt their socialization skills which could lead to unfortunate encounters with other pets or even people they’re not familiar with. Taking your dog on regular walks exposes him to strange sounds and scents he may normally react negatively to. Exposing your dog to foreign stimuli on a regular basis can help in acclimatizing them to their environment. Pet Nanny’s dog-walkers are all specially-trained to aid your pet in these types of situations. A well-behaved dog will also be more welcome in other people’s homes. You know that your dog is the best thing since sliced bread so why not show him off to the world? Taking your dog around the block and showing him off to your neighbors will definitely elicit compliments and admiration. Let your dog know how proud you are of him and this will, in turn, give him great confidence and better self-esteem. 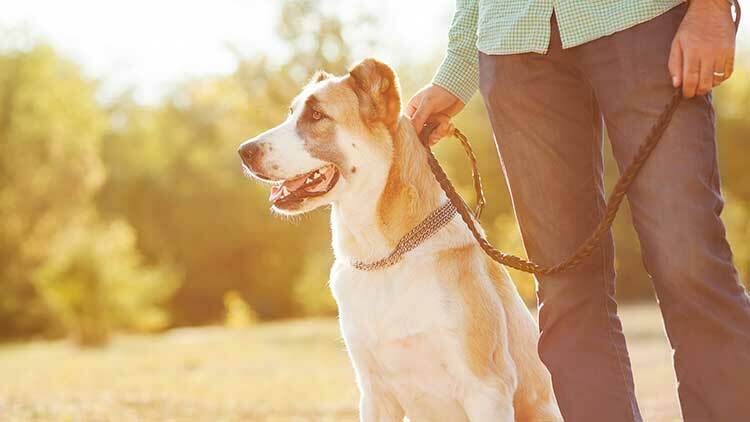 A regular walk routine gets your pet acquainted to a healthy and beneficial lifestyle. We at Pet Nanny understand that time is a not a luxury for everyone. If you have a busy schedule, give us a call and we will make sure your dog gets all the attention he needs. We offer weekly lunch dog walking according to your needs and specifications. Contact us at 734-981-6108 or use our on-line contact form and we will be in touch with you shortly.